Time To Wash the Llama Fleece? 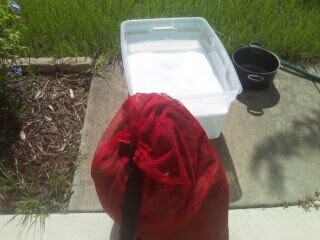 So, I set out to wash the Llama fleece. I was very excited. I didn't realize how much time it would take to do this. First of all, I knew it was very dirty. So, I didn't want to wash it in my bath tub or the washing machine. 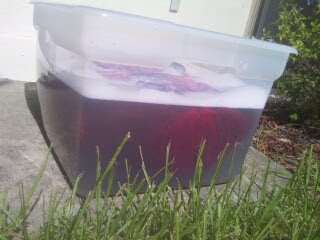 Outside in this container was the cleanest way. As you can see the water was very dirty. I did this 5 times and the water still was not clear. Now living in Florida it can rain at any point. Even on a day that isn't forecast for rain. 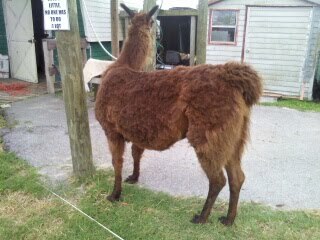 So much for drying the llama in the sun. 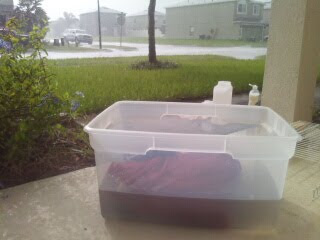 It is taking forever to dry. When I started to wash the fleece it was sunny outside. I knew I needed to get it washed or it would never get washed. It has been a fun learning experience. I can't wait to pick out all the debris in it. I may have to wash it again, because it doesn't smell very well. This time I may do it in the washer. I can't wait to spin it!! It is so soft. 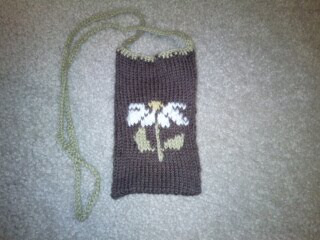 My twin sister gave me this purse for my birthday! I love it. It is the perfect size to hold my small yarn projects! 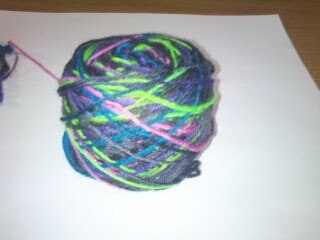 This skein of yarn is called Party Ponies! 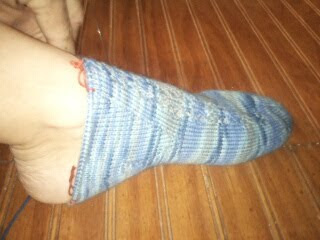 From Storied Yarns! 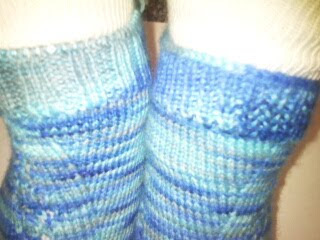 This skein is called Women of the Water! 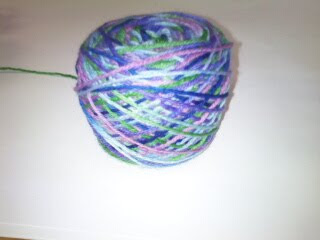 I am going to weave these yarns into a purse! Just a hint if anyone is looking for a gift for me this is the shop to go to! 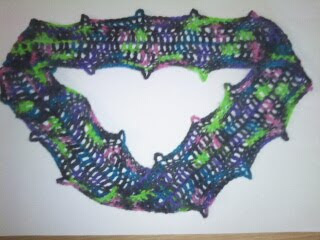 http://www.etsy.com/shop/storiedyarns all you have to do is message her! She knows what I like! This is just for future reference of course! 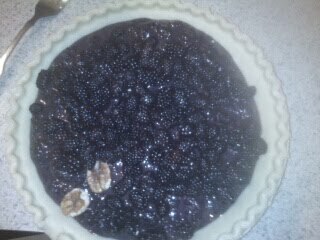 This is a blackberry pie that I am making from the blackberries I picked while on vacation. I wondered how it would taste with pecans in it. So I put 2 in it. Well, the pie was great and the pecans didn't enhance the flavor at all. 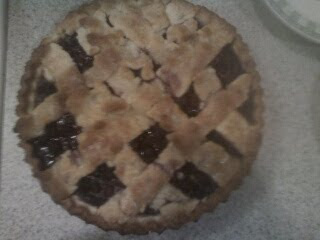 The pie crust gave me a hard time. So, I put the strips on it. Then I had some crust left over and I just love the crust, so I put the rest on it. It was delicious. 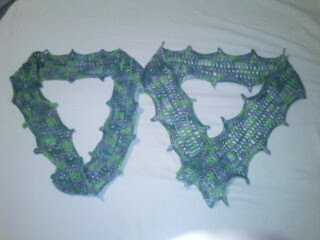 I also finished my women of the water scowl! 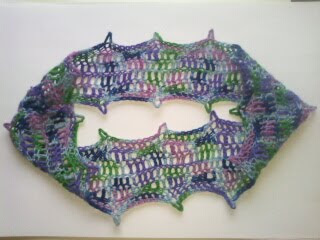 This is another colorway from the Percy Jackson Kal I am doing. 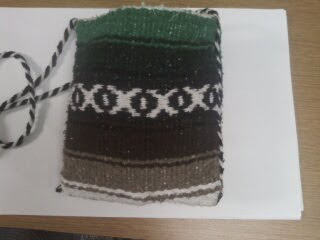 I have enough yarn left over to make a small purse to match! 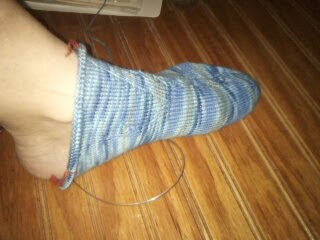 Still knitting this sock! I hope to finish it on my vacation! 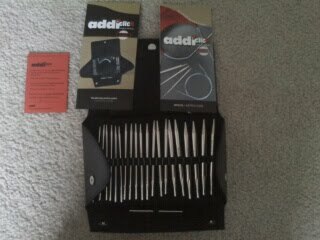 I was able to use my Addi Turbo's on the plane! 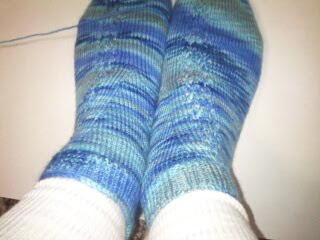 Why do socks seem to take forever to make? 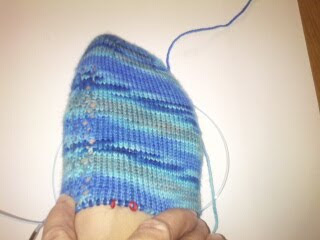 So far so good on the instructions on how to knit toe up socks. 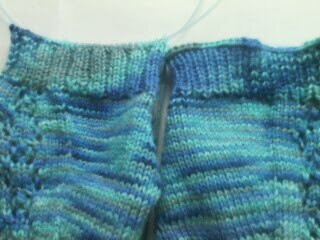 I am almost to the gusset. I made another scowl. Now my twin sister and I can look just alike. I think I am getting the hang of it. This last on came out the best! I Sheared My Brother's Llama! My mom helping me!She didn't even spit on me!.I will have more pictures of the event as soon as I get them from my mom. Yea! 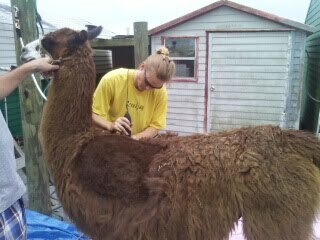 I finally sheared a llama! I have almost 4 lbs. of hair. 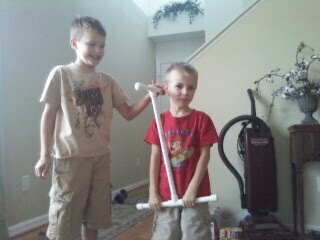 That should be plenty of fiber to practice spinning. I'm so excited! 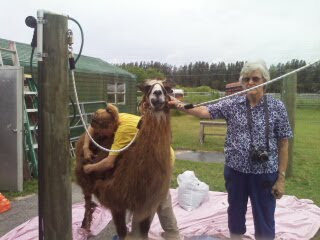 Thank you Matt and Claudia for letting me cool off your llama! A friend of mine at work crocheted the dolls clothes. The picture doesn't do it justice. 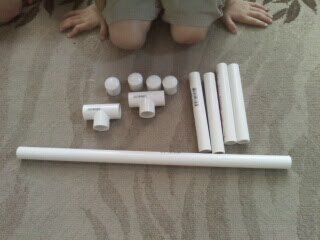 It took her a long time to make these. 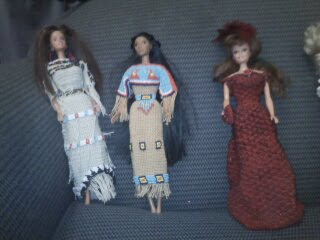 The red dress is beaded all over. 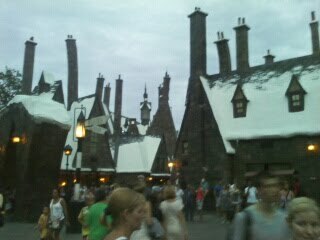 After work i went to Harry Potter and rode on the ride. Words can't explain this ride. You just have to ride it! Yesterday was my birthday! My most amazing husband drove over 100 miles to get my present! I couldn't believe my eyes when I saw them. He called all over Florida to try and find these Addi Turbo Clicks for me. I have size 4-15 Addi's! I can't wait to put them to use! Barry, you are the man!!! I love you. 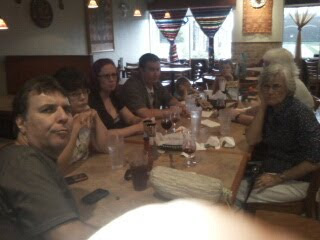 We went to a Mexican restaurant for dinner. 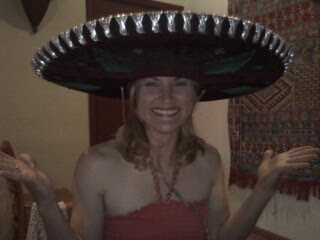 Apparently when it is your birthday they will put this sombrero on your head and give you flan to eat! The hat was handmade in Mexico. It was beautiful. I received a text from my twin sister while we were eating. She told me she was at a Mexican restaurant. We both didn't know each other were going to eat Mexican food that night. This is us frowning because we wished Cindy and John were here with us! Here are some of my gifts. 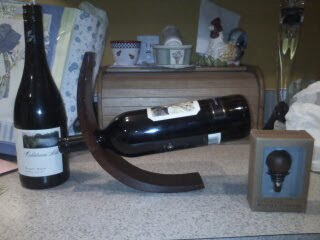 I love the wine bottle holder. 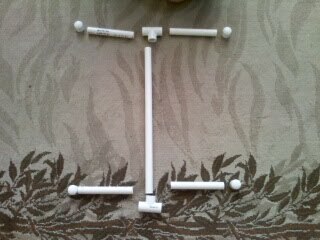 it is defying gravity! The wood is beautiful too. Then we went to our local down town Winter Garden Theater to see Breakfast at Tiffany's! 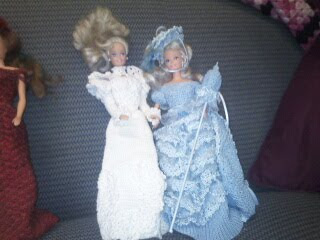 The best part in the movie is when we get to see Audry KNITTING! I leaned forward and looked at my friends and whispered YES! I had a wonderful night and can't wait to see Cindy tonight! Happy birthday to me and my twin sister!